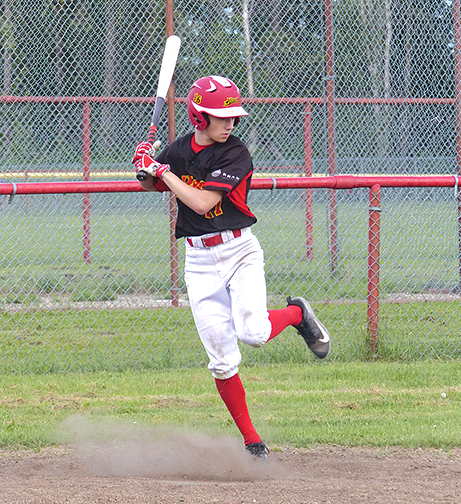 Aiden Blocka of the Slave Lake Heat dances out of the way of a low pitch from Trevor Vance of the Dirt Bags in Southshore Men’s League action on June 28. The Bags won the game 5 – 4. Blocka had three hits for the Heat.